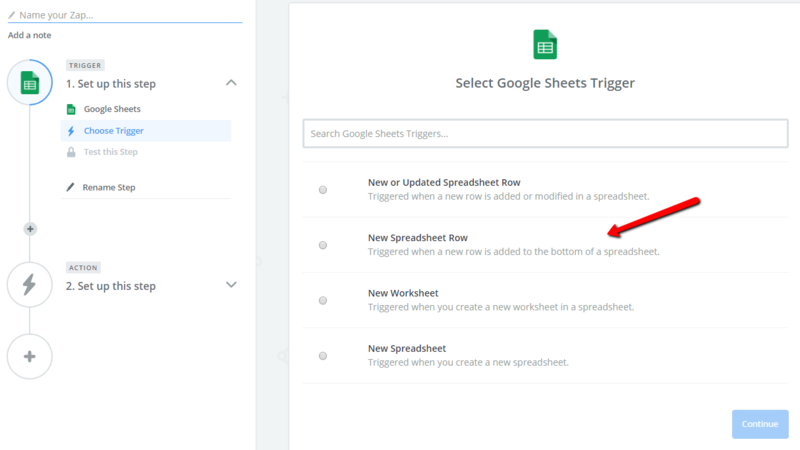 Using a Google Sheet to Add Punches to an Employee (using Zapier). 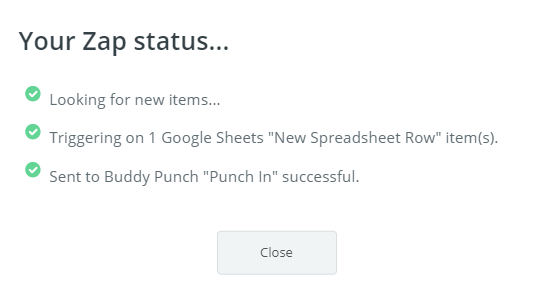 This will describe the process of punching in an employee using a Google Sheet. A Zapier account is required. 2. Sign into your Zapier account. If you don't have one, you can sign up here. 3. 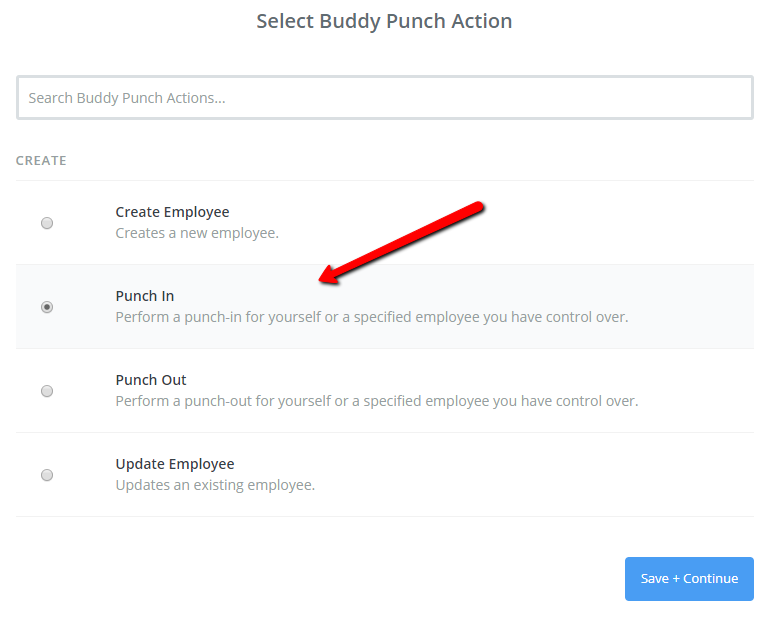 Once you have your Zapier account you'll need to add Buddy Punch to it. You can do so by accepting this invite. You're then going to be asked to Fetch an existing row on your sheet and then test it. 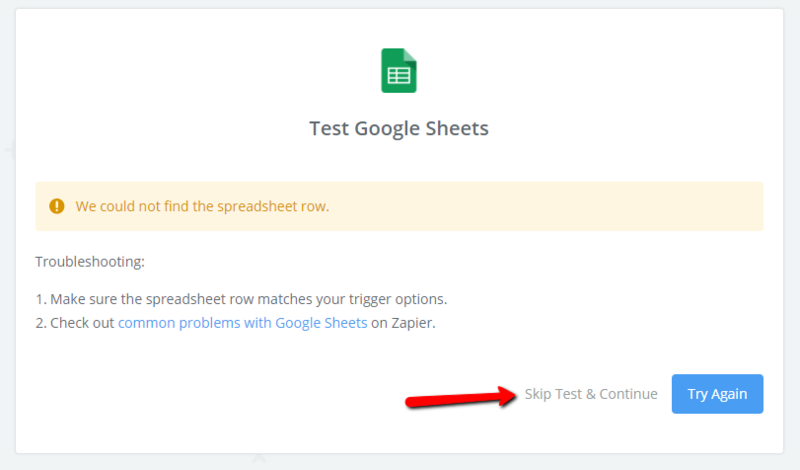 You can click on the "Fetch & Continue" button however there isn't any data in your spreadsheet yet, and that's OK. Once Zapier can't find data in the spreadsheet row click on "Skip Test & Continue." Then select an action you'd like to take. This can be any of the actions listed, however in this example we'll do the "Punch In." You'll then need to match Buddy Punch fields to the fields you created in your spreadsheet. This is an area where you have some flexibility. 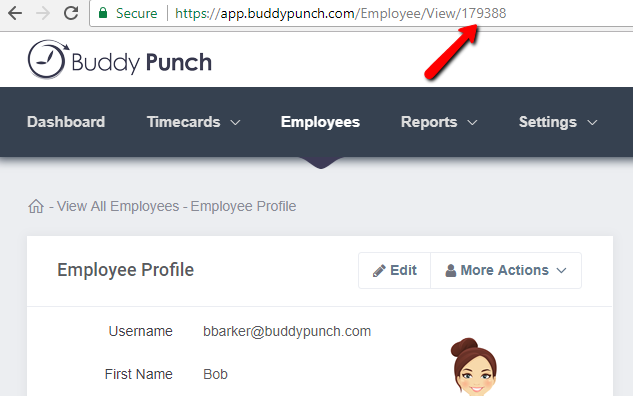 Under the User ID field you can either choose to make this one Zap for a single employee, or make it for all employees and you can specify the employee to punch in. 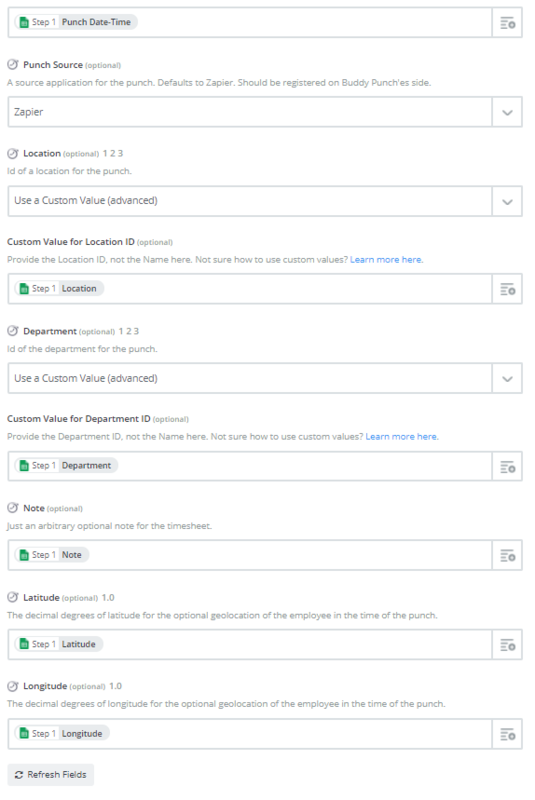 If you'd like to use it for all employees, select the "Use a Custom Value (advanced)." You'll then get a new field called "Custom Value for User ID" Open the drop down and you'll get the headings from your Google Sheet. Select the "User ID" option. 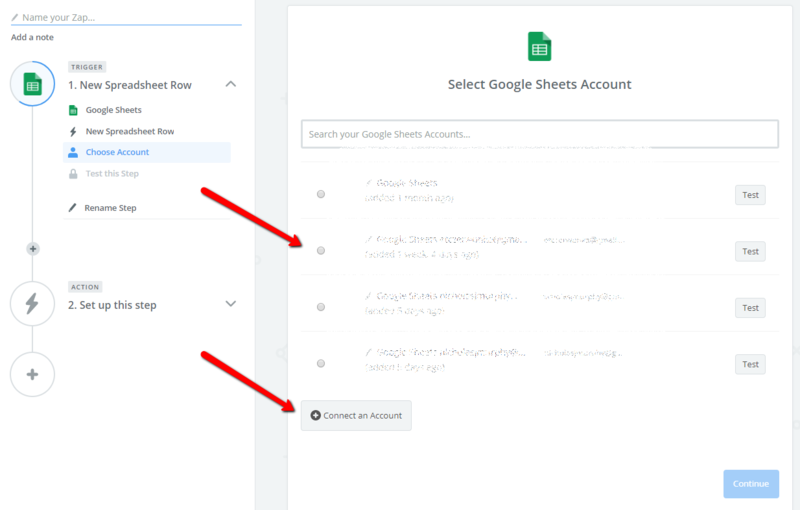 You can then go to your Google Sheet and enter in that User ID and any other applicable information. 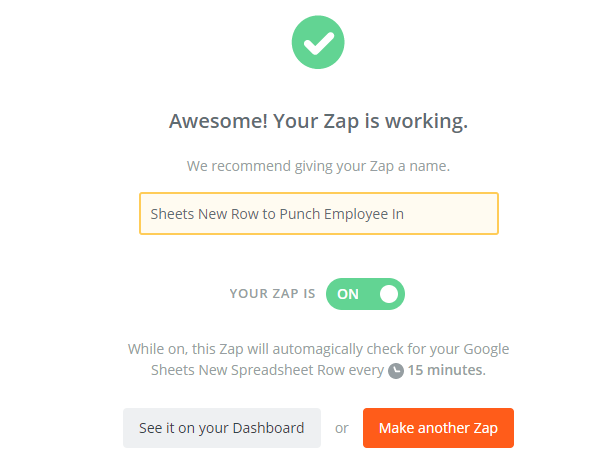 This zap will run every 15 minutes, or you can go to Zapier and manually run it. If you go to your time card you can see that your employee is now punched in. 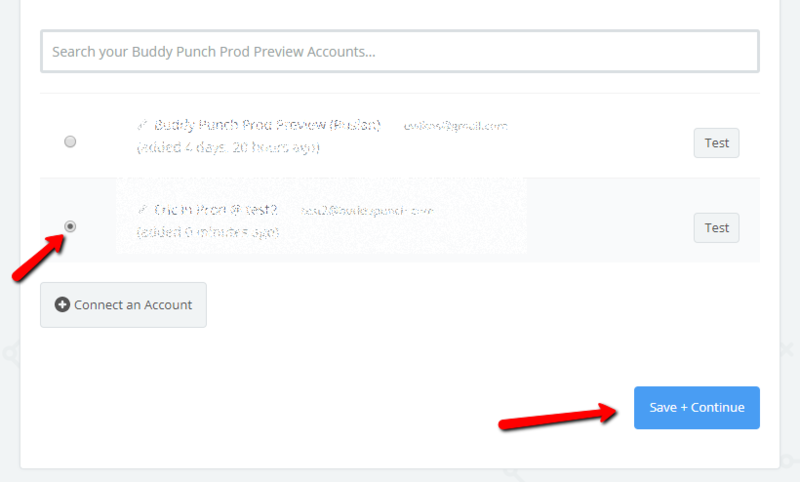 Note that punches will show which user is punching them in, even from Zapier. If an admin punches an employee in, the punch will shows as "Changed by Manager" and the User in the history of the punch will show the admin. That's it! Now you can experiment with other zaps and integrations!